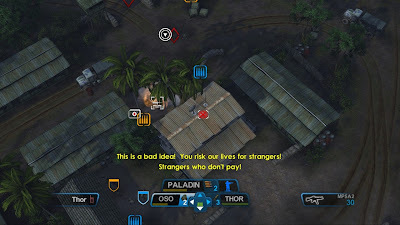 Synopsis: Raven Squad is a unique title that blends both real-time strategy (RTS) and first person shooting (FPS) into one game. The characters and scripting were inspired by such movies as Predator, Commando, and Delta Force; incorporating the over the top dialogue and one liners. 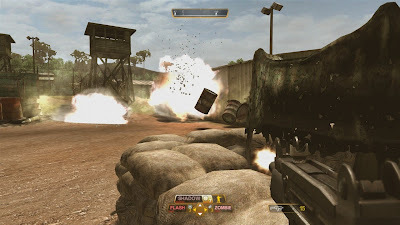 The story takes place in the Amazon jungles and the player is able to take command of the characters and switch between them at any time from the two available squads, each soldier having a different weapon specialty. 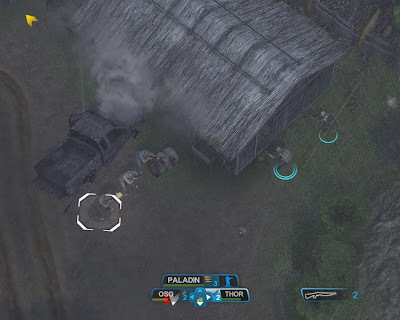 Multiplayer co-op is available and the ability to switch between RTS and FPS at any given time allows for multiple solutions to completing each mission. Praise: Raven Squad definitely goes outside of the box in regards to bringing something new and innovative to the table with the option to switch from FPS to RTS on the fly. A short detailed walkthrough takes you through the basics and gets you in the middle of the action without a long overly drawn out tutorial. Lastly, the multiplayer does not take long to find a partner and playing through the title cooperatively is enjoyable, especially with a headset on. Gripes: Where this game exceeds, it does have its downfalls. 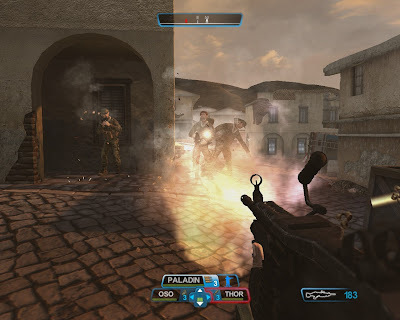 Though the ability to switch from RTS to FPS is a new feature to the shooter genre, but there is a lack of polish in the graphics and gameplay. The graphics appear to be equivalent to if not slightly prettier than the original Xbox, and the gameplay tends to slow down and get choppy in certain parts of playing through. The scripting and the voice acting is the other downfall with this title, as it tries to stick to the same type of dialogue found in the movies that inspired it, while sticking to the restrictions of a “T for Teen” rated game. Overall, this title tries to be a big hitter right out of the gate when a little more time could have helped a lot on the final product. However, in a saturated genre, it works hard to differentiate itself from the rest and bring something new to the table that does work very well. Raven Squad is an entertaining game at some points playing through the title but did release at the right time before the big holiday releases to prevent being overlooked. Mashbuttons.com gives Raven Squad: Hidden Dagger a 6 out of 10. 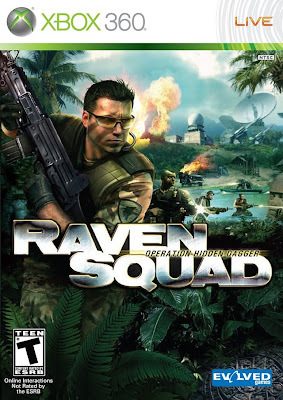 Raven Squad: Hidden Dagger is available now for the Xbox 360 and PC.